According to research, direct instruction is one of the most effective teaching strategies. Although often misunderstood, students who are taught using the direct instruction method perform better in reading, maths, and spelling than those who weren’t. 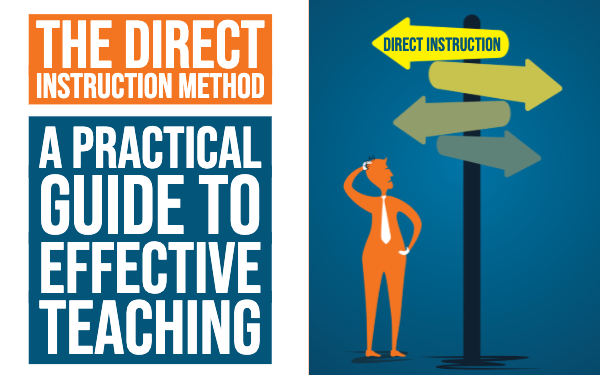 If you have no clue what direct instruction is all about, you’ve come to the right place! This blog post covers the most frequently asked questions about this teaching method. I’ll give you the what and how, and include some practical examples. Direct instruction is a teacher-directed teaching method. This means that the teacher stands in front of a classroom, and presents the information. The teachers give explicit, guided instructions to the students. So, isn’t that how everything has always been taught in a classroom? Not entirely. Nowadays, experimenting in education is “hot”, as teachers find that not all students benefit from listening to a teacher talk all day, and not all lessons are best taught through direct instruction. Teachers now match the type of instruction to the task. Using direct instruction is effective when it suits the skill students have to learn. The order of the planets is best learned via direct instruction. Teaching what materials are magnetic is better learned through experimentation. All students can learn when taught correctly, regardless of history and background. All teachers can be successful, given effective materials and presentation techniques. First, you set the stage for learning. This is the opening of the lesson, and it’s intended to engage students, get their attention, and activate their prior knowledge. Build upon a previous lesson, or get an understanding of their background knowledge of the subject you are about to teach them. To show your students what exactly they have to learn and what is expected from them, you can give them lesson objectives. Use clear and guided instructions, so students can begin absorbing the new material. The lesson content should be carefully organized step-by-step, with the steps building on each other. In the direct instruction method, you can present new material through a lecture or through a demonstration. State the main points of the lecture. Introduce a main organizing idea or theme. Use examples to illustrate each idea. Use repetition to reinforce the main points. Summarize and refer back to the main organizing idea. But how you go about these steps? This is where the fun comes in, and where every teacher gets to use their creativity. This is where you get to engage your students. So, if you think a lecture is boring, you got it all wrong. Here, the teacher demonstrates the skill or principle in small steps. Visual demonstrations will engage more students than a pure auditory lecture. This method is often used in science classes. Here, the teacher and students practice the concept together. The student attempts the skill with the assistance of the teacher and other students. The guided practice is conducted by the teacher. The purpose of this step is to guide initial practice, correct mistakes, reteach (if necessary) and provide sufficient practice so that students can work independently. It’s very important to ask good questions to verify your students' understanding. If students don’t understand the lesson material, the teacher has to correct them and give feedback. This is also very important in the guided practice, as students have to understand everything in that phase. There are 4 types of student responses to questions and actions a teacher should take depending on the answer. Correct, quick, and firm Ask a new question to keep up the pace of the lesson. Correct, but hesitant Provide encouragement. Incorrect, but careless Simply correct and move on. Incorrect and lacking knowledge Provide hints, ask a simpler question, or reteach. After guided practice and receiving the right feedback, students are ready to apply the new learning material on their own. Independent practice gives the students the repetitions they need to integrate the new information or skills with previous knowledge or skills. Independent practice also helps students to become automatic in their use of the skills. During this phase, students usually go through two stages: unitization and automaticity. During unitization, the students are putting the skills they’ve learned together and use them in new situations. As they keep on practicing, students reach the “automatic” stage where they are successful and rapid, and no longer have to “think through” each step. Check whether your students know everything before moving on to a new concept that builds upon what they’ve just learned. Collect student data you can review and decide whether or not the lesson needs to be retaught. There are much evaluation and reviewing methods, so make sure to pick the right one to find out data that really means something. Make sure your evaluation says something about your students' learning process. Formative assessments are better suited for this. After reading the 6 important steps above, you might think: what room is there for the teacher to be passionate and creative in his teaching? If everything is so well-structured, a teacher can’t control learning? That’s not entirely true. I’ll show you some direct instruction lesson plans that you can use in the classroom, while still meeting the direct instruction model functions. Use an exit ticket as an entry ticket. Ask your students a question about what they learned the lesson before. You can also use them to quickly figure out what students already know (or think they know) about a topic as you begin a new unit. You can do this digitally with BookWidgets. 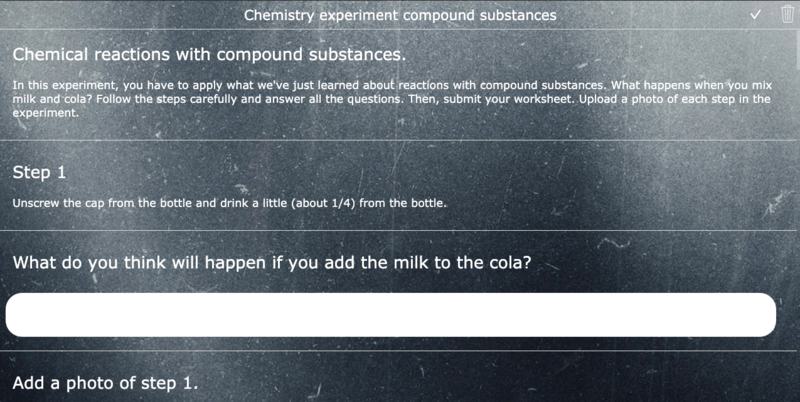 Use tools such as Mentimenter to quickly see what students still know about the previous lesson, or see what they already know about a certain topic. Mentimeter is a live question tool that engages students to answer questions anonymously. A “slide” is presented on the big screen and changes live as students type in answers via their phones. 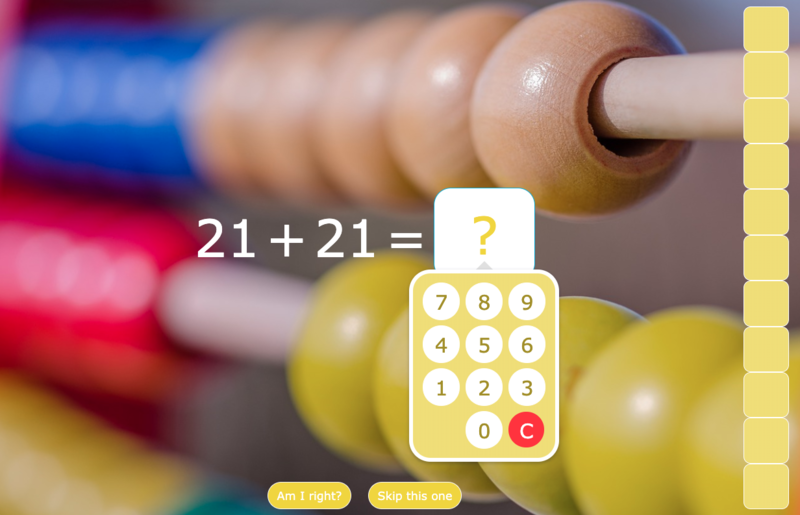 The BookWidgets Arithmetic widget is made to practice basic arithmetic operations. The teacher gives in some parameters, and the widget will automatically produce calculations that students have to solve. Use this widget to review calculations students just learned or to introduce a new kind of calculation. In this example, students have already learned to make sums. The exercise encourages them to review this math topic again, and when they have found the right solutions, a word will reveal what they are going to learn next. Can you find it? New material can be presented in several ways. A lecture can be given through storytelling. Use the app MySimpleShow to present the new material in a story-like format. This tool lets you create engaging explainer videos in minutes. So why stick to just you explaining things when it can be visually much more appealing and fun? BookWidgets has many more photo widgets that can serve as illustrations, and that make images more interactive. If you’re teaching science subjects, it’s sometimes easier and much more fun to just demonstrate certain reactions or experiments. Experimenting is not a part of the direct instruction method, but it’s not experimenting when the teacher shows how it’s done. Afterwards, you can still ask your students to apply the new material on a new situation in the guided practice phase. The teacher asks many questions to make their students think about what they’ve just learned. In the end, they can see the explanation again. Set a problem or a question around a certain topic, and pair up your students. Give each pair of students enough time so they can reach a proper conclusion, and permit the students to share their conclusion in their personal voice. This way, your students will be engaged, communicating, and remember more of the class than ever before. You can repeat this process easily. Ask students to find a new partner and share the wisdom of the old partnership with this new partner. Participants come together in session groups that focus on a single topic. Within each group, every student contributes thoughts and ideas. Encourage discussion and collaboration among the students within each group. Everyone should learn from each other’s input and experiences. As a teacher, you could give your students some keywords to spark the conversation. Check out the four corrective teacher actions above. 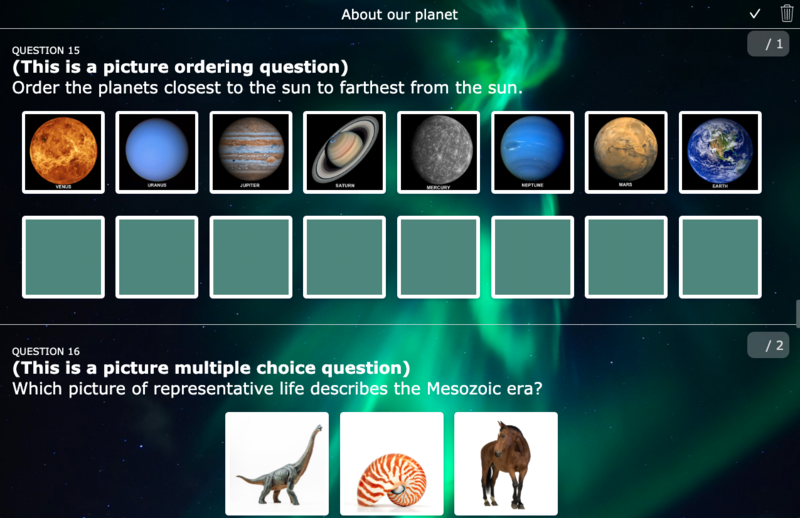 Set up a quiz or worksheet in BookWidgets with many different and interactive question types about the lesson content. Let students solve the worksheet it independently. It’s very important to ask your students the right questions. Below is an example of the different question types about the learning content. You can choose to link to other theoretical steps and give hints if necessary. If you are using BookWidgets quizzes, you have many feedback options. Questions can be automatically graded so students have a really short feedback loop and know what aspects they have to learn again. A teacher can also see the student’s answers immediately after them submitting. 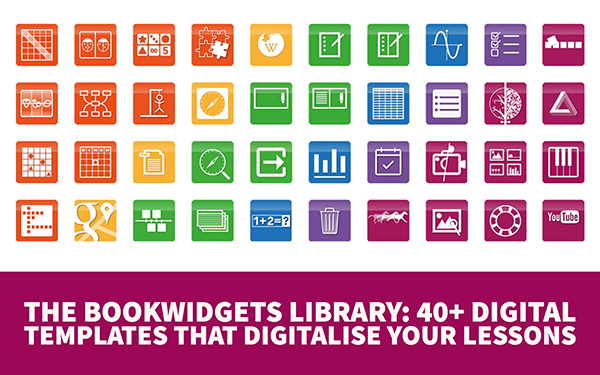 If you want to dig deeper, you could set up a BookWidgets planner for your students to follow. Give them exercises they have to go through. Students can send their work to the teacher for review and check out the tasks they finished. Here, the student works independently but is still closely monitored and guided by the teacher. As a teacher, you can review the student’s work. So, in the next step (Evaluation/review), you’ll be able to collect data out of these exercises. If you notice a student is still struggling with the content, you can set up a personalized planner with more guidance if necessary. New vocabulary is something that needs to be automatized. A student needs to know this without thinking too much. Translations and meanings need to pop-up at the moment. Flashcards are the perfect fit for automatizing this learning content. 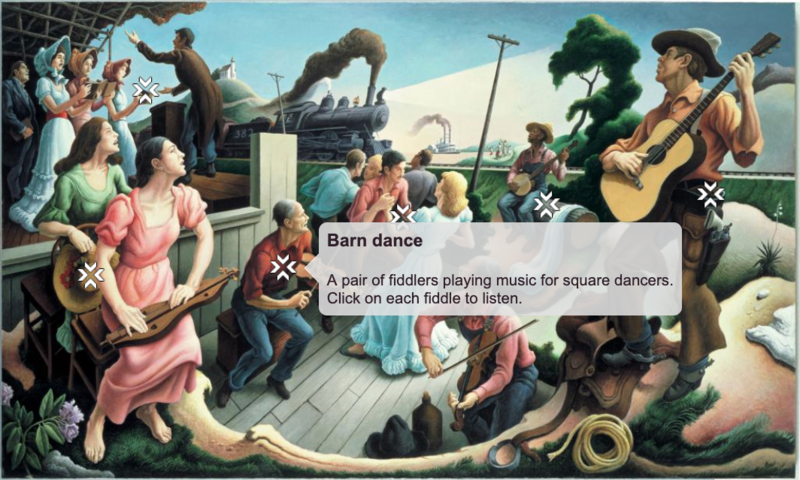 Create BookWidgets flashcards and let your students use the ‘practice mode’ and practice independently. As a teacher, you can add text, images, and audio. The more connections you make between those content styles, the better all students will understand, because combining images with text is one of the most effective learning techniques. If your learning material allows multiple choice questions, Kahoot is a fun and quick way to measure understanding. Ask your students questions about the lesson material and immediately see how many students understood the lesson. Kahoot will show you instant statistics about what your students answered and if they were right or wrong. These statistics can give you an insight into whether you need to reteach certain parts of your lesson or not. Ask your students to create a mind map about a topic you just taught them. If you’re using BookWidgets, students can send their mind map back to the teacher. 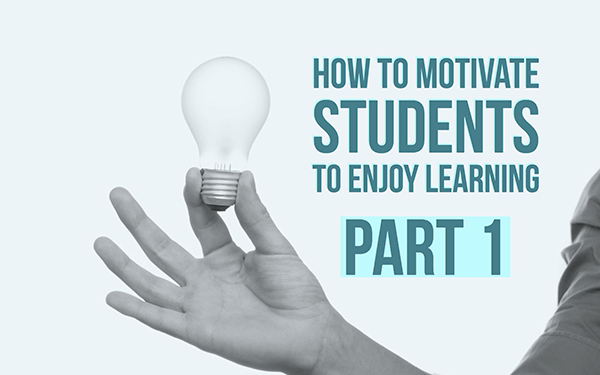 Check if the students remembered everything, or if there are things they don’t mention. If more students show the same gaps in their knowledge, you know what to reteach. You can use a rubric to evaluate a mind map. Some teachers will realize that they actually were already using the direct instruction teaching method all this time. Others will consider this method as an opportunity to teach more effectively, as they know now direct instruction is not just a boring teaching strategy. Looking for more interactive teaching strategies? 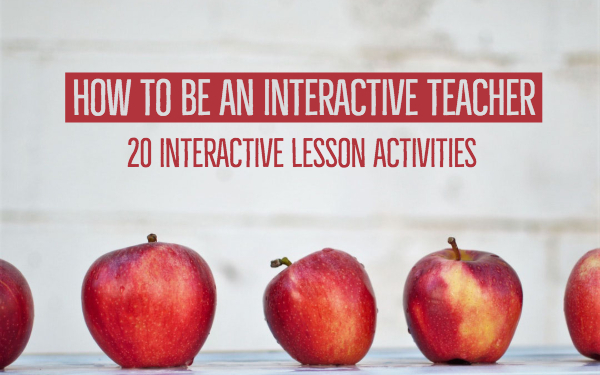 Check out this post with 20 interactive teaching activities. If you’d like to get started with this teaching method and create examples of direct instruction like I showed in this post, just click on the button below.